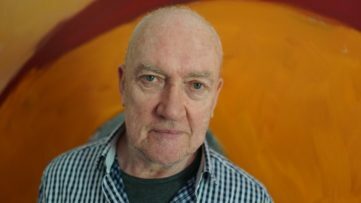 One of the most iconic figures in the ever-changing universe of the contemporary art, a name that is not to be taken lightly, is currently exhibiting his body of work at the National Gallery of Australia. Through his career his only desire was to explore and investigate light and its derivative paradigms, both in the factual and the metaphorical way, an idea that also served as an inspiration to many other modern-day authors, among them to Simon Heijdens as well. The name is of course, James Turrell, and for next few months, Australians and those who happen to visit this island country in the meantime, will have the chance to travel as far as the light goes. The visitors to this retrospection will be in a position to witness the 50 years spanning oeuvre of Turrell’s career. A Retrospective brings together all of the James Turrell’s remarkable series of work, pieces like Projection pieces, built spaces, holograms, drawings, prints and photographs. It also celebrates Skyspaces, well-known viewing chambers that affect our perception of the sky, and surveys Turrell’s life work, Roden Crater, a naked eye observatory in an extinct volcano on the edge of the Painted Desert, Arizona. 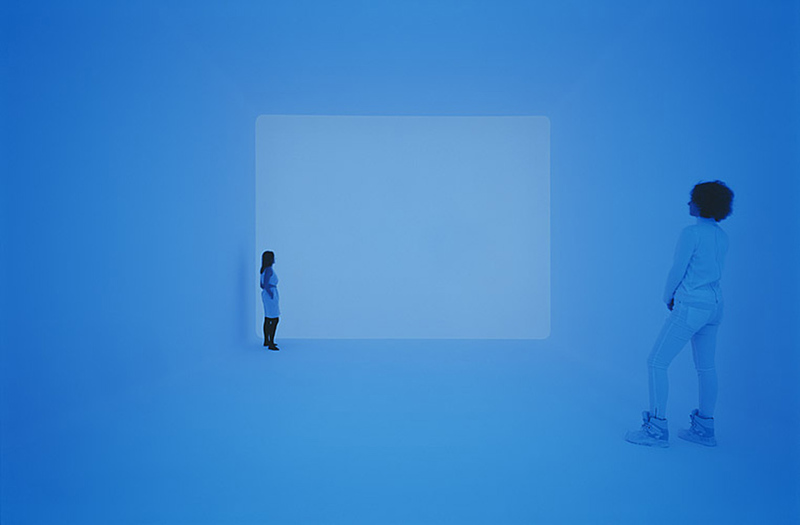 James Turrell is one of the pioneers of the contemporary art as we know it today. He may practice his art in the same manner as Basquiat or Warhol, but he is equal in significance. He has been exploring light from the beginning of the 1960’s. 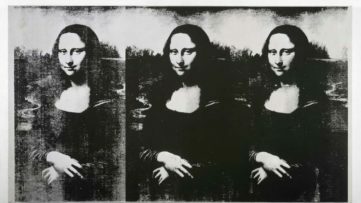 In support of the passion he studied mathematics and perceptual psychology, which added a scientific level to his work. Being a Quacker and having been an active pilot gave him even more of the insight on the matter which he later included in his practice of art creation. His first memorable work was sculptures he made by using fire and after this piece he involved himself in producing illusionary geometric shapes. In 1966 he created the famous Afrum (white), an optical illusion which appears as a hovering cube of light. 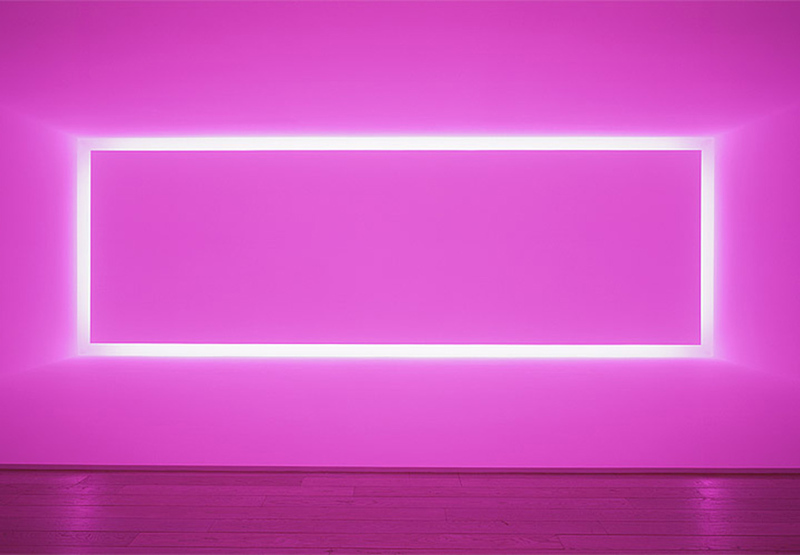 Following the cube, three years later came the Raemar Pink, a large luminescent pink canvas levitating in front of a wall. 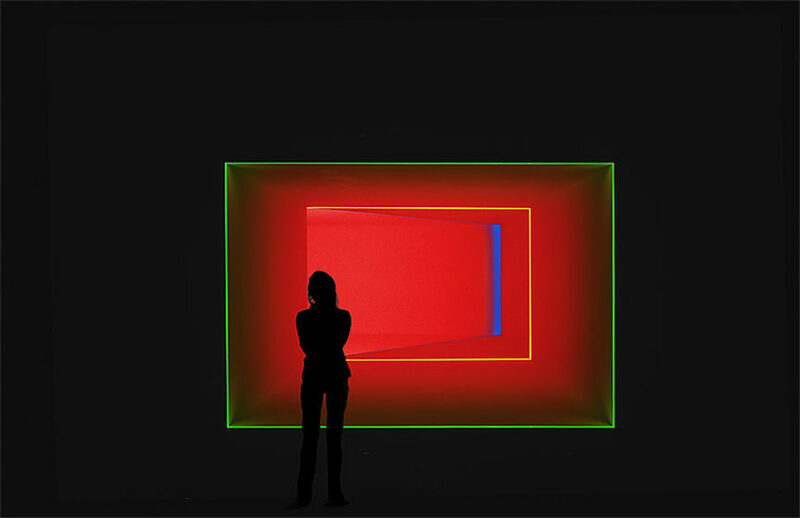 In the 1980’s and 90’s Turrell’s work evolved as he introduced the darkness into his pieces, and he did it by isolating an individual, a viewer in a contained environment. 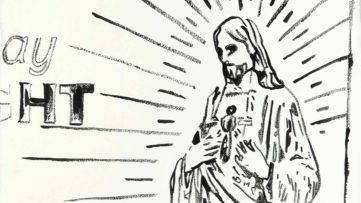 One of his most memorable pieces saw the light of the day in 1993. Entitled After Green, this mesmerizing installation stirred up the emotions of the public with its disorienting aesthetic. The Bindu shards and the Ganzfeld were some of the most recent pieces present in the author’s oeuvre. First one is a bodily kaleidoscope with countless patterns of stars, galaxies, shards of light etc. The latter is probably one of his most breath-taking series of all, a transcendent-wise walking-on-color-saturated-cloud-experience. The retrospective opened on 13th of December 2014 and is on display until 8th of June 2015. Honor the light alongside us and join the fastest growing art community by signing to My Widewalls today!